Have you ever planned a trip online? 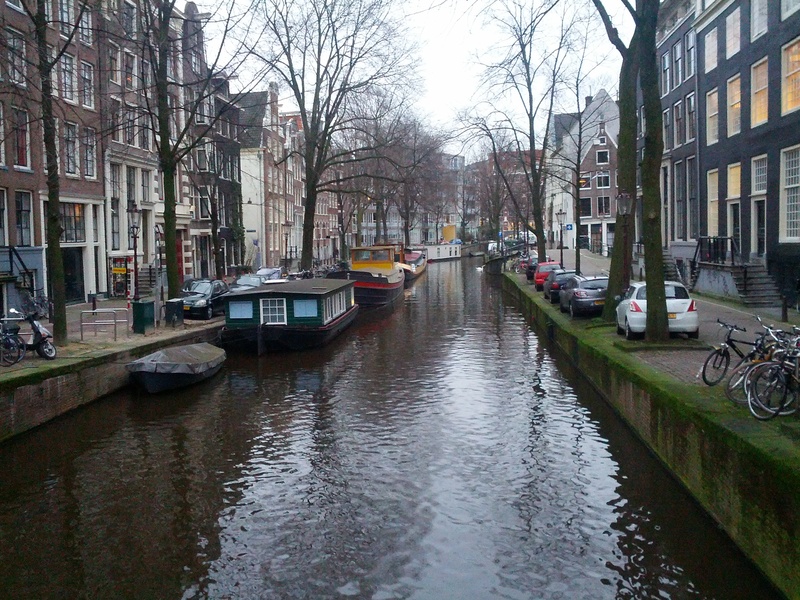 In January, when I traveled to Amsterdam, I did all of the legwork online and ended up in a surprising place. Amsterdam City Center is extremely easy to navigate. From the train station (a quick ride from the airport and a quick ride around The Netherlands), the canals extend outward like spokes. Each canal is flanked by streets. Then the city has a number of concentric rings emanating from the train station. Not only is the underlying map easy to navigate, there is a traveler station at the center and maps available periodically. English speaking tourists will see that not only do many people speak English, but Dutch has enough overlap with English to be comprehensible after even a short exposure. But the city center experience was not as smooth for me. I studied map after map in the city center without finding my hotel. I asked for directions, and no one had heard of the hotel or the street it was on. The traveler center seemed flummoxed as well. Eventually I found someone who could help and found myself on a long commuter tram ride well outside the city center and tourist areas. 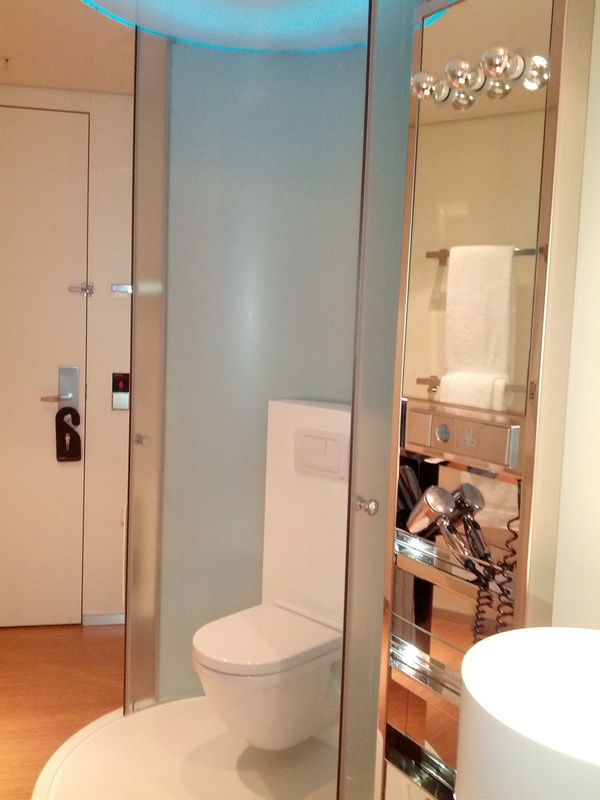 The hotel had received great reviews and recommendations from many travelers. But clearly, the travelers who boasted about it were not quite the typical travelers, who likely would have ended up in one of the many hotels I saw from the tram window. Have you ever discovered a restaurant online? I recently went to a nice, local restaurant that I’d been reading about for years. I ordered the truffle fries (fries with truffle salt and some kind of fondue sauce), because people had really raved about them, only to discover once they arrived that they were fundamentally french fries (totally not my bag- I hate fried food). These review sites are not representative of anything. And yet we/I repeatedly use them as if they were reliable sources of information. One could easily argue that they may not be representative, but they are good enough for their intended use (fitness for purpose <– big, controversial notion from a recent AAPOR task force report on Nonprobability Sampling). I would argue that they are clearly not excellent for their intended use. But does that invalidate them altogether? They often they provide the only window that we have into the whatever it is that we intend them for. Truffle fried aside, the restaurant was great. And location aside, the hotel was definitely an interesting experience. Fertile soil from dry dirt. Thank you, Netherlands! The mood workshop (microanalysis of online data) in Nijmegen last week was immensely helpful for me. In two short days, my research lost some branches and grew some deeper roots. Definitely worth 21+ hours of travel! 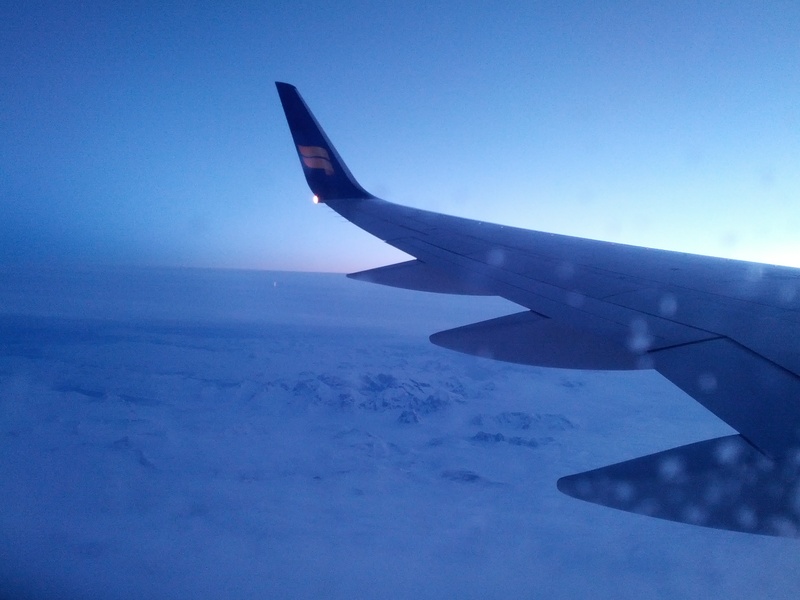 Aerial shot of Greenland. Can’t tell where the clouds end and the snow and ice begin! The retooling began early on the first day. My first, burning question for the group was about choosing representative data. The shocking first answer: why? To someone with a quantitative background, this question was mind blowing. The sky is up, the ground is down, and data should be representative. But representative of what? Here we return to the nature of the data. What data are you looking at? What kind of motivated behavior does it represent? Essentially, I am looking at online conversation. We know that counting conversational topics is fruitless- that’s the first truth of conversation analysis. And we know that counting conversational participation is usually misguided. So what was I trying to represent? My goal is to track a silence that happens across site types, largely independent of stimulus. No matter what kind of news article about taxis in Washington DC, no matter the source, the driver perspective is almost completely absent, and if it is represented the responses are noticeably different or marked. I had thought that if I could find a way to count this underrepresentation I could launch a systematic, grounded critique of the notion of participatory media and pose the question of which values were being maintained from the ground up. What is social capital in online news discourse, who speaks, and which speakers are ratified? But this is not a question of representative sampling alone. Although sampling could offer a sense of context to the data, the meat and potatoes of the analysis are in fact fodder for conversation analysis. A more useful and interesting research question emerged: how are these online conversations constructed so as to make a pro taxi response dispreferred or marked? This question invokes pronoun usage, intertextuality, conversational reach, crowd based sanctioning, conversational structure and pair parts, register, and more. It provides grounding for a rich, layered analysis. Fertile soil from dry dirt. Thank you, Netherlands. Canal in Amsterdam (note: the workshop was in Nijmegen, not Amsterdam. Also note: the dangers of parallel parking next to a canal. You’d be safer living in one of these houseboats! This quote is from one of my favorite survey reminder postcards of all time, along with an image from from the Emilio Segre visual archives. The postcard layout was an easy and pleasant decision made in association with a straightforward survey we have conducted for nearly a quarter century. …If only social media analysis could be so easy, pleasant or straightforward! I am in the process of conducting an ethnography of DC taxi drivers. I was motivated to do this study because of the persistent disconnect between the experiences and reports of the taxi drivers and riders I hear from regularly and the snarky (I know this term does not seem technical, but it is absolutely data motivated!) riders who dominate participatory media sources online. My goal at this point of the project is to chase down the disconnect in media participation and see how it maps to policy deliberations and offline experiences. This week I decided to explore ways of quantifying the disconnect. Inspired by this article in jedem (the eJournal of eDemocracy and Open Government), I decided to start my search using framework based in Social Network Analysis (SNA), in order to use elements of connectedness, authority and relevance as a base. Fortunately, SNA frameworks are widely available to analysts on a budget in the form of web search engines! I went through the first 22 search results for a particular area of interest to my study: the mandatory GPS policy. Of these 22 sites, only 11 had active web 2.0 components. Across all of these sites, there were just two comments from drivers. Three of the sites that didn’t have any comments from drivers did have one post each that sympathized with or defended DC taxi drivers. The remaining three sites had no responses from taxi drivers and no sympathetic responses in defense of the drivers. Barring a couple of comments that were difficult to divine, the rest of the comments were negative comments about DC taxi drivers or the DC taxi industry. This matched my expectations, and, predictably, didn’t match any of my interviews or offline investigations. The question at this point is one of denominator. The easiest denominator to use, and, in fact, the least complicated was the number of sites. Using this denominator, only one quarter of the sites had any representation from a DC taxi driver. This is significant, given that the discussions were about aspects of their livelihood, and the drivers will be the most closely affected by the regulatory changes. This is a good, solid statistic from which to investigate the influence of web 2.0 on local policy enactment. However, it doesn’t begin to show the lack of representation the way that a denominator such as number of posts, number of posters, or number of opinions would have. But each one of these alternative denominators has its own set of headaches. Does it matter if one poster expresses an opinion once and another expresses another, slightly different opinion more than once? If everyone agrees, what should the denominator be? What about responses that contain links that are now defunct or insider references that aren’t meaningful to me? Should I consider measures of social capital, endorsements, social connectedness, or the backgrounds of individual posters? The simplest figure also doesn’t show one of the most striking aspects of this finding; the relative markedness of these posts. In the context of predominantly short, snarky and clever responses, one of the comments began with a formal “Dear DC city councilmembers and intelligent taxpayers,” and the other spread over three dense, winding posts in large paragraph form. The main point I want to make here is about the nature of variables in social media research. Compared to a survey, where you ask a question, determined in advance, and have a set of answers to work with in your analysis, you are free to choose your own variables for your analysis. Each choice brings with it a set of constraints and advantages, and some fit your data better than others. But the path to analysis can be a more difficult path to take, and more justification about the choices you make is important. To augment this, a quantitative analysis, which can sometimes have very arbitrary or less clear choices included in it, is best supplemented with a qualitative analysis that delves into the answers themselves and why they fit the coding structure you have imposed. In all of this, I have quite a bit of work out ahead of me.